Guy Mizrahi about Security and Technology. It can be very useful to see what other sites are sitting on your site’s IP. When you are using a shared host for your site or blog, you basically risk your site. If an attacker is targeting other sites on the same server, his attack can hit you as well as other sites on the server. More other sites on the hosting server = More chances your site can be hit in their attack process. So how can you check the sites on your hosting server? How many users on dreamhost server? How to Steal DreamHost accounts? Isn't it cool to see e-mule working like this ? 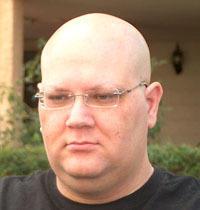 My name is Guy Mizrahi and I am a Security Specialist from Israel. Go to the About page to read more about me. amit on Isn’t it cool to see e-mule working like this ? Qhckz on Isn’t it cool to see e-mule working like this ? ___the on How to Steal DreamHost accounts? ZuLL, Hacker’s Blog. My hebrew blog.